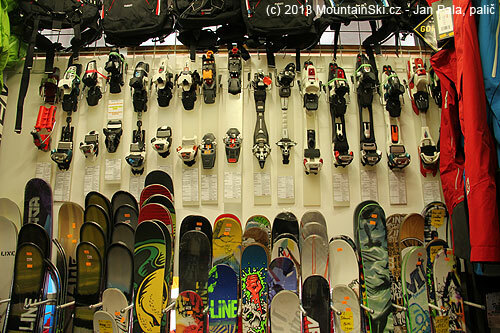 I went with freeride skis Movement Jackal – 176 cm, 136–105–124 mm and binding G3 Onyx s DIN 6–12 to RaxAlpe, that were rented fromBoatpark. 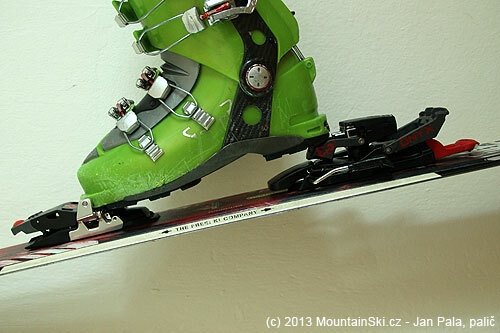 I set release power to DIN 9 and I little adjusted length of the binding to ideal position for my shoes Dynafit Zzero 4 C TF. Length adjustment was easy, and I was able to do that even when with light produced by headlamp at 8:30 p.m.
For a man accustomed to the most minimalist solution from Dynafit looks „G3 Onyx“: http://www.boatpark.cz/…3-onyx-z4912 powerfully and very robustly from the very tip of the binding dominated by large front plastic part. 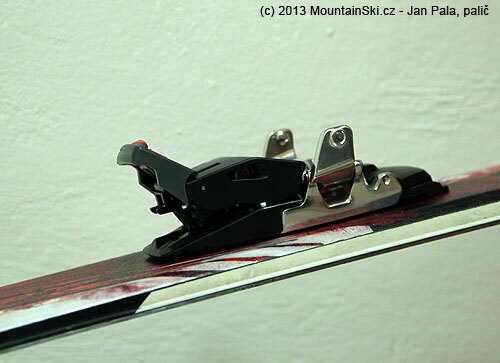 This part may seem unnecessarily oversized for Dynafit users. After thorough testing on different hard and icy surfaces (unfortunately there were nowhere powder) in Raxalpe I dare say that the size of the tip of the binding for handling with the binding (opening, closing and switching between output and exit) is ideal, and the binding is easy to switch both by hands, ski-pole or shoe. The snow got under the tip of binding just a little in snow conditions in RaxAlpe, and I did not think I would have a problem with turning it on or off due to snow clogging the tip. The rear part of G3 Onyx is by its construction and mode switching vastly different from traditional solutions by Dynafit TLT. 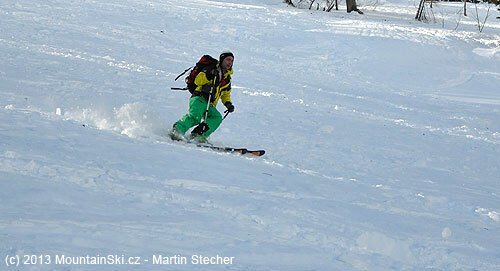 It is because of the fact that the heel when switching from walking to skiing shifts in the axis of the ski. 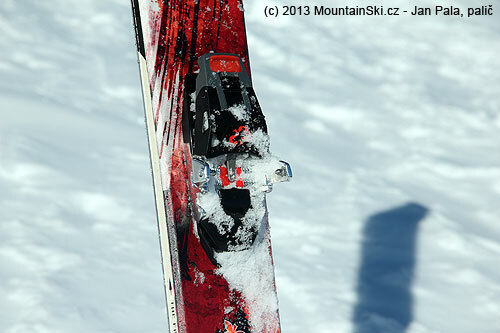 This means that the position of the heel on the downhill, the difference between Dynafit and G3. 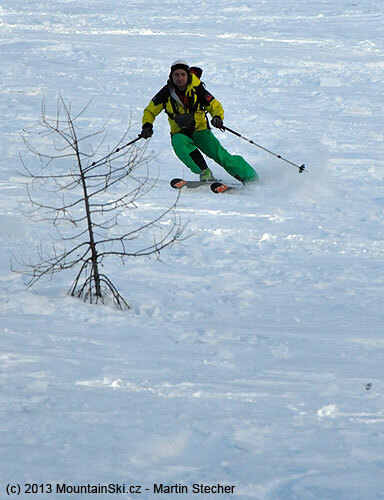 In contrast, when switching heel G3 Onyx shifts, heel below the axis of the ski – the heel is not rotate around a vertical axis, but there is a simple shift. 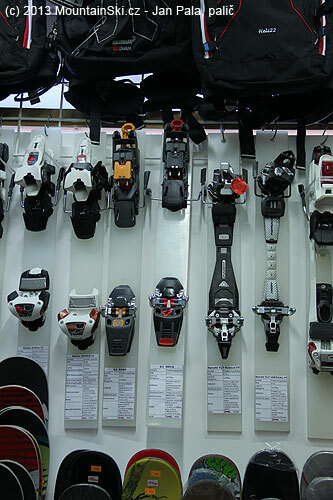 At first glance, the axial shift when switching from heels downhill output causing quite strangely, but this solution has one huge and unique advantage. 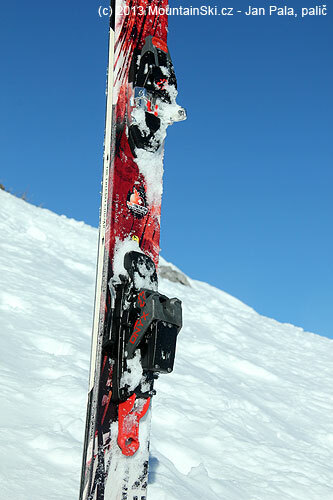 G3 Onyx binding is the first binding on the base of Dynafit TLT in which when you switch from downhill to walking mode it is not needed to step out of binding. 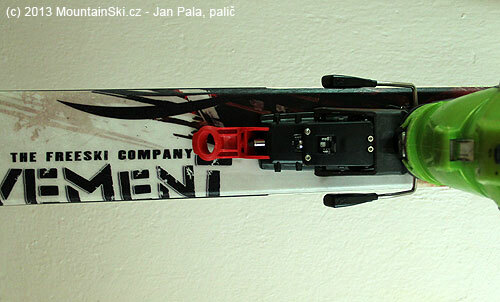 The switch can be simply done by ski-pole. 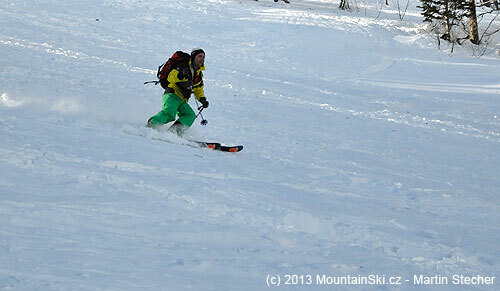 Taking off binding was usually the main disadvantage of TLT based bindings in comparison with traditional skialpinism bindings as „Diamir Eagle – first experiences from Kamchatka in May 2009“: http://mountainski.cz/…osti-s-novym- Tying-Diamir-eagle-obtained-on-Kamchatka. Personally I prefer not to use heel support for uphill skining at the heel binding suitable for stretching the calf muscles during longer steps. 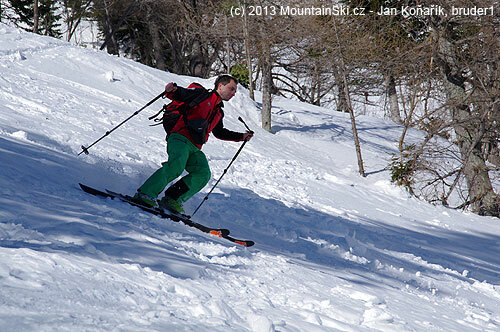 I use heel support only in quite steeper terrain and traverses. 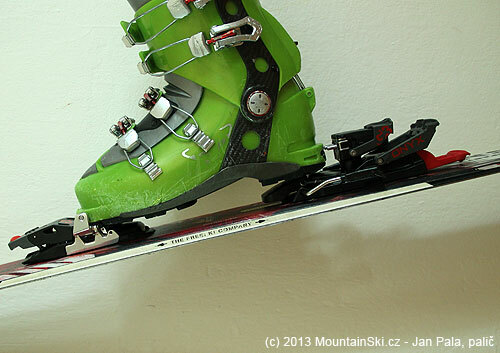 In the basic position with the boot heel bindings touches down on the brake locked, which allows a bit higher compared to the peak position of the shoe tying. If this was not enough for the output, G3 Onyx offers two heights of heel support as documented on the attached photos. The middle position I did not use at all, and I started straight away with the highest position broadly in line with the upper edge of the heel binding. 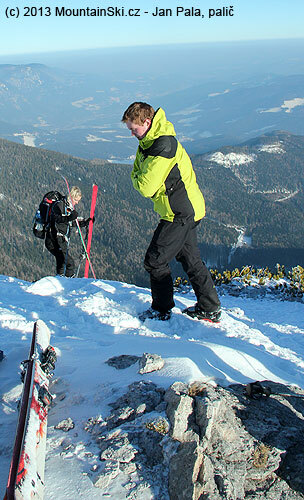 It proved to be sufficient for all steeper terrain, after which I moved in Raxalpe. 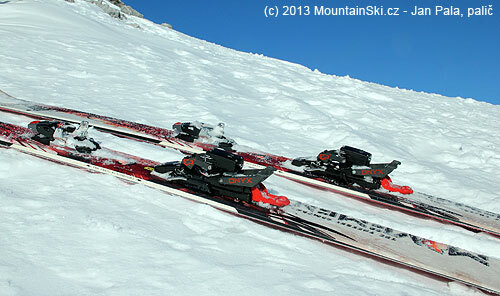 G3 offers quite unusual and unique solution for using one binding to multiple skis. 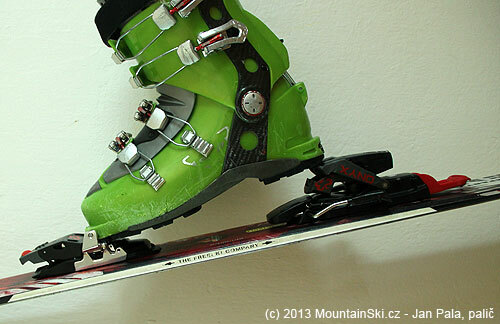 Just buy and install only other ski pad toe and heel mounting plate for bindings. 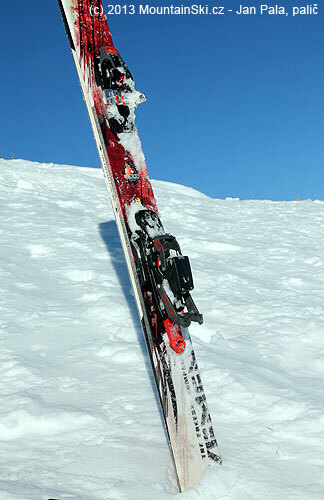 The binding itself is mounted on an ongoing basis, different skis, depending on whether it hits the deep overfrozen powder snow or steep terrain. 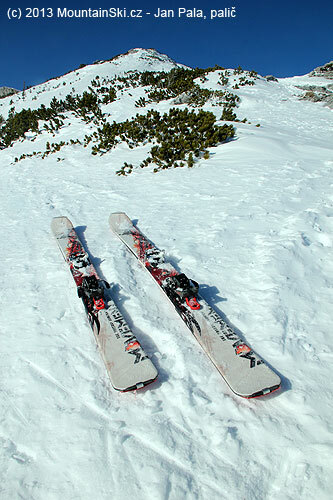 Is it possible to have multiple pairs of skis for different terrains, conditions and styles, and you need only one binding. 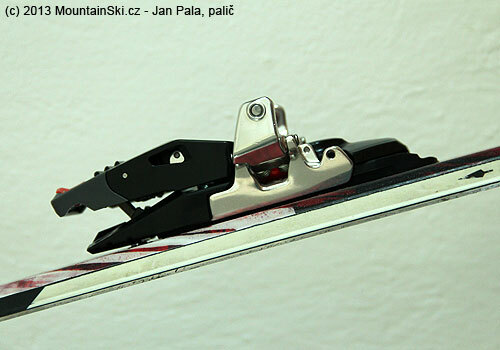 The combination of mounting plates and binding enable a wide range (up to 33 mm) set the size and location of skeletal shoes over the center of the ski. 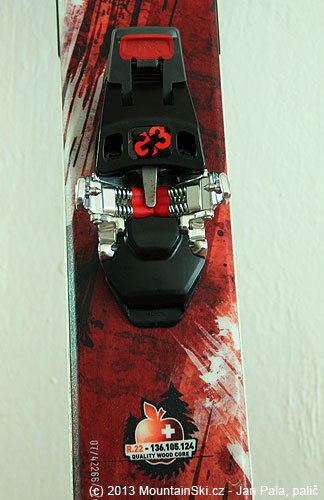 The weight of G3 Onyx including brakes and screws is 1430 g (binding is produced out of aluminium and hardened plastic), so that the weight is higher than Dynafit Vertical (1144 g) and it has almost half of the weight with until now mostly spread out freeride binding Marker Duke. Simple setting of mounting plate enables fast adjustment of up to 33 mm for different sizes of shoes or movement of mounting point according to wishes. 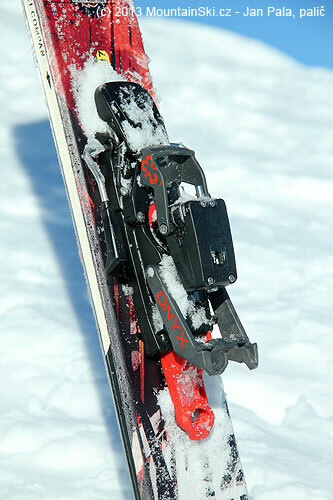 Mounting plates are included with the binding. G3 Onyx and DIN5–10 G3 Ruby. As every new binding,i G3 Onyxu had some troubles – Lou Dawson had described it in December 2011 – G3 Onyx Toe Pin Breakage – Rare but Real. Osobně jsem byl zpočátku k vázání G3 Onyx nedůvěřivý vzhledem k jeho plastové mohutnosti a osovému posouvání paty při přepínání z výstupu na sjezd. Nicméně po pár výstupech a sjezdech, při kterých bylo možné si zvyknout na ovládání vázání odlišné od Dynafit TLT, na něž jsem zvyklý, se G3 Onyx ukázal jako uživatelsky velmi přivětivé vázání se snadným přepínám sjezd-výstup, různé výšky hrazdiček pod patu boty, apod. 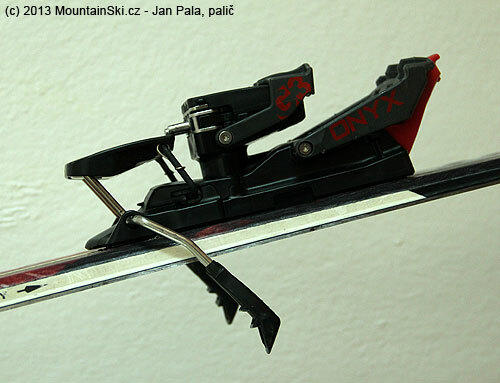 Na klasické skialpové lyže bych si ho v porování s Dynafitem asi nedal, ale na široké freeridové lyže se šířkou pod patou přes 100 mm je G3 Onyx vynikajícím vázáním plně srovnatelným s DIN12 modelem od Dynafitu TLT Radical za cenu vyšší hmotnosti a lepšího komfortu použití. Your review is well done, except you are not showing the correct way to use the heel lifts. If you look at page 5 of the manual, the large lift flips over first, (the one you used as a high setting in your review) and then the smaller one flips on top of that to make the actual high lift setting.